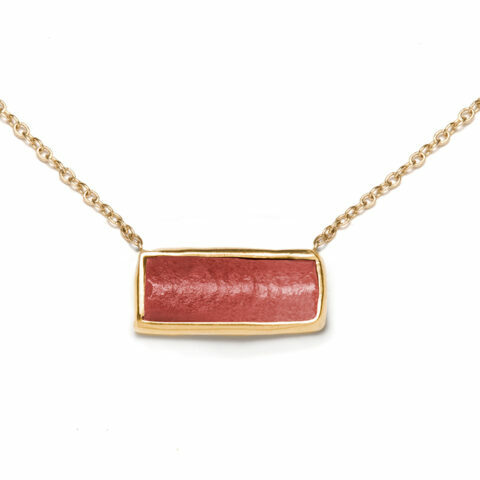 Hand wrapped in 18k Yellow Gold, this coral shell necklace is one of a kind. Available in 16 or 18 inch chain. 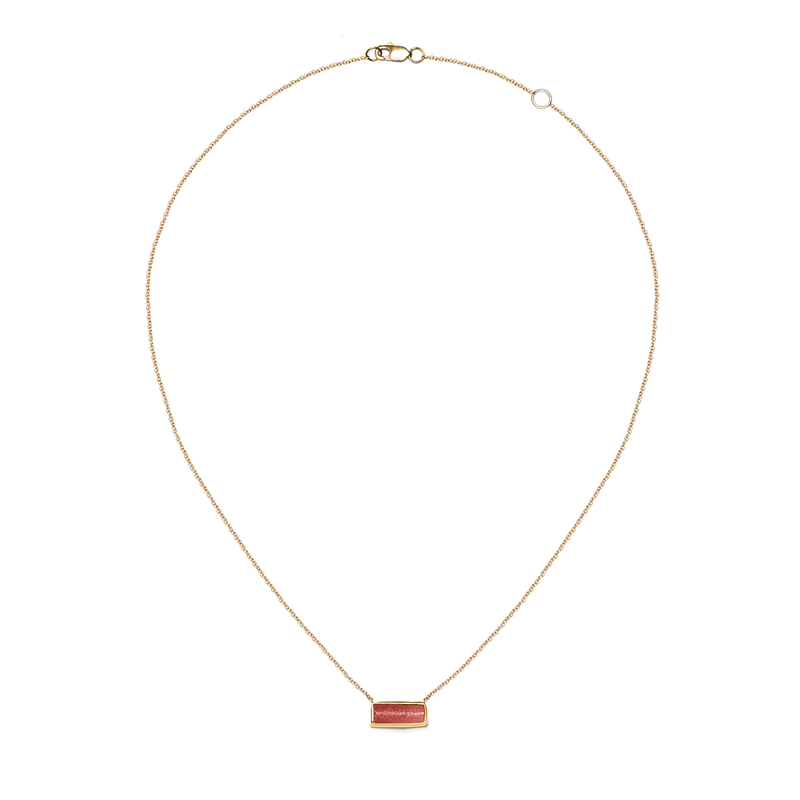 Measures approximately 1/2 an inch by 1/4 inch (8x15mm). 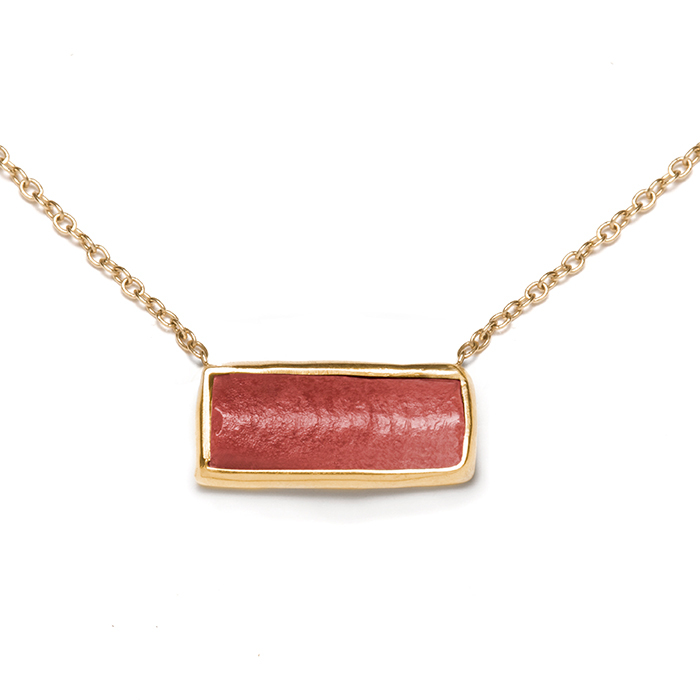 Because this natural coral shell is one of a kind, natural variances may occur in shape, size and color, adding to it’s uniqueness and beauty.